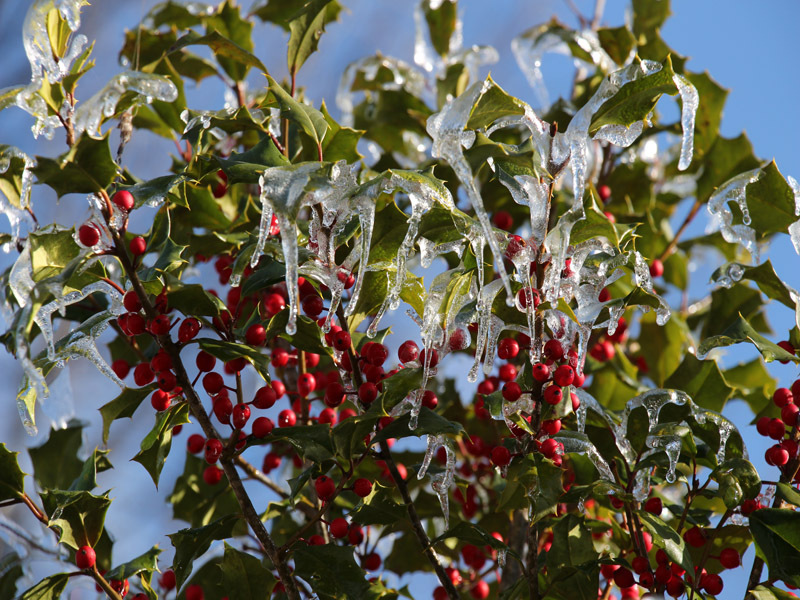 Take a hike in winter woods and there is a possibility you will see nature’s Christmas tree – the American Holly (Ilex opaca). Festooned with bright red berries amongst dark green leaves, the splash of color is a welcome burst amongst the grays and browns of the sleeping forest. The holly is one of the easiest trees to recognize with its spiny-toothed leaf margins. It makes for a great specimen tree and can create an attractive evergreen screen in the landscape. If planted as a specimen, remember that hollies are dioecious, meaning if you desire berries on the female tree, a male holly needs to be within a mile or so in order for pollination to occur. Bees do most of the pollination but wasps, beetles and night-flying moths also visit the small, white flowers in the early summer. Ecologically, holly leaves sharp spines provide natural home defense for bird nests, creating convenient habitat. The berries are poisonous to humans but relished by deer, wild turkeys, songbirds and a variety of other small mammals. The National Arbor Day Foundation reports that, in particular, bluebirds and thrashers consume the berries. Naturally pyramidal in shape, the holly doesn’t need a lot of pruning. They can grow up to 50 feet tall and do well in a variety of locations but generally prefer well-drained, acidic, moist soils. They are often seen as understory trees and indeed, opaca means “shady” in Latin. This beauty of the woods is the state tree of Delaware. 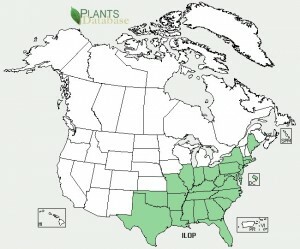 There are over 400 species of holly but the American Holly is native to Virginia. According to the Northwest Holly Growers Association, the holly in South America is used in making matte, a type of tea drink popular in Argentina. 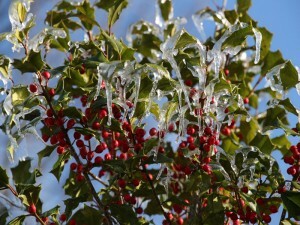 The wood of the holly tree is white and has a solid grain-less appearance. When dyed, it takes on the appearance of tropical ebony wood and is used in the manufacture of piano keys and other musical instruments. Common Native Trees of Virginia, Virginia Department of Forestry, 2007, p.82.